Heart disease, stroke and periphery artery disease are the major deadly diseases associated with high cholesterol level in our body. It is estimated that one third of Americans has high cholesterol level (more than 240 mg/dl – miligram per deciliter of blood) and not even half of them are even aware and taking necessary steps to treat it. These people with high cholesterol level are twice as much riskier to get heart disease. Can we really use smoothies to lower cholesterol level and reduce our risk of getting these diseases? Yes sure we can! To make it clear, I’m referring to green smoothie ONLY, with no added dairy, protein powder, and other stuffs. Green smoothie contains fruits and vegetables that have lots of nutrients that do wonders to help lower cholesterol level. But first, I’m going to tell a bit about cholesterol, how so much of it can be dangerous and it’s impact to our health. I feel it’s important to understand about cholesterol first and foremost. But if you are short of time, feel free to skip this part and head down to the last section on how can fruit and vegetable smoothie reduce cholesterol with examples of the types of fruits and vegetables to be used. Cholesterol is a waxy fat substance found in our body that is needed for producing hormone, vitamin D and others. It is produced in our body from liver and can also be consumed from food. Since it can’t be dissolved in blood, it needs to bond with carriers, called lipoprotein. There are two types of lipoprotein: 1) Low Density Lipoprotein (LDL) and High Density Lipoprotein (HDL). You probably have heard how LDL is the bad guy here and that can’t be futher from the truth. While LDL and HDL is absolutely important for our health (cholesterol is needed to produce hormones after all), a high level of LDL is dangerous as it cause build up of cholesterol plaque in our blood artery (blood vessel). This plaque build up is the root cause of heart disease and stroke. HDL on the other hand, will carry LDL from arteries to liver to be removed from our body. How can someone have an unhealthy cholesterol/LDL level? Through unhealthy diet full of cholesterol rich foods. Meat, poultry, dairy, baked goods, fried food (especially deep-fried) and processed food are the main culprit of high LDL level. These foods contains saturated fat and trans fat that raise LDL and lower HDL levels. If you noticed, most of these are the main component of our modern diet. It is no wonder that most of the people nowadays have high cholesterol level. Coupled with the lack of physical activity once we reach adulthood, the problem with escalate further. Plaque build up (or fancy medical term of atherosclerosis) in our blood artery is the direct effect from high cholesterol level and causes a myriad of health problems. The plaque is made up mostly of cholesterol, fat and calcium. This will narrows the passage of blood vessel. If it is big enough, it can rupture and break open. Blood can clot on that rupture area, causing bigger blockage and disrupt blood flow. If this condition happen in an artery that is supplying blood to our heart, and the blockage is very big to reduce or blocked blood flow to it, heart attack (angina or myocardial infarction) will occur. 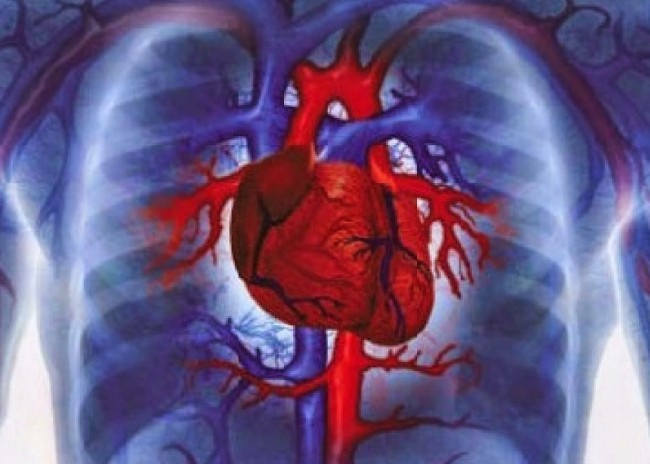 The sudden absence of blood supply to our heart will cause pain and discomfort in our chest. If not restored quickly, section of heart muscle will begin to die and can cause death. This is the meaning of heart disease. Plaque can also build up in other artery. If it happen at carotid artery that supply blood to our brain (located around our neck area), it can cause stroke. Stroke (or brain attack) is the same as heart disease, but the effected organ now is brain. When blood supply to our brain is disrupted, we will feel a very hard and painful throbbing sensation in our head. Left for too long can cause the brain cells to die. If plaque happened at other arteries, such as major artery to our legs, it can cause pain and even gangrene or tissue death if left untreated. This is the most common occurrence of Peripheral Artery Disease. How Can Green Smoothie Lower Cholesterol? Green Smoothies, with a mixture of fruits and vegetables is very beneficial in reducing cholesterol level. Both of these contain high amount of fibers. Fiber can lower cholesterol level by binding with it and drag them out of body. This will effectively reduce the amount of cholesterol in our body. Green leafy vegetables have lutein, a substance that help to protect artery from plaque build up and lower LDL level. My favorites leafy greens are spinach and kale of course. These two are the most nutrient dense vegetables that you can get. Apart from the leafy greens, avocado is one of the most popular cholesterol lowering fruit. Avocado has lots of monounsaturated fat, the good type of fat that will increase HDL and lower LDL levels. It is also rich in beta-sitosterol that can reduce the amount of cholesterol absorbed from foods. An apple a day will keep the heart doctor away. This saying can’t be further from the truth. Apple contains pectin, polyphenols and fiber. Both pectin and polyphenols are the subject of numerous scientific studies that showed these compounds can effectively lower cholesterol and LDL level. Pectin also exists in citrus fruits like orange and lemon. Apart from these compounds, numerous fruits and vegetables has other different compounds that can achieve the same cholesterol lowering effect. Blueberry has pterostilbene while tomato has lycopene. Niacin (Vitamin B3), Vitamin C and Vitamin E in numerous fruits and vegetables are also deemed to have positive effect on cholesterol level. Omega 3 in chia seed and flax seed is also thought to have an impact in protecting heart from blood clots. While green smoothies can undoubtedly help in lowering cholesterol level, I believe we should not only rely on it. As mentioned earlier, high cholesterol level comes from eating too much of foods high in cholesterol and fats. It would have been easier and much more effective (and healthier too!) to reduce our consumption of these kind of foods. 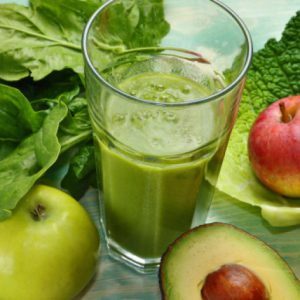 You cannot gulp down a huge portion of burgers and pizza, and immediately sip down a green smoothie after that thinking that all of the fat and cholesterol will be taken care by the green smoothie. I really recommend everyone to eat sensibly and moderately in our goal to reduce cholesterol level. Exercise is another important factor that we tend to overlook. Adults especially are too busy in our work and kids and life for some exercise. Without adequate exercise, we are more prone to getting fat. With higher fat content in our body, we are more likely to increase LDL level, and subsequently increase risk of heart diseases. To conclude, green smoothie is a very healthy way to reduce cholesterol level. It has all the compounds that is needed to fight cholesterol plus other nutrients that will surely give a boost to our health. But again I would like to remind my readers that a healthy lifestyle consists of a healthy diet and frequent exercise are also needed to reduce cholesterol level and increase our overall healthy. Remember, we only live once so make it a healthy one! Cheers.